Millennials surveyed, ages 18 – 34, show us some really great insight into current and future customer expectations. As we all know, Millennials are super connected and mobile is the hub of their digital lives. Used to leading mobile experiences from large brands like Google, Uber and the like, they’ll benchmark you against them, not your traditional competitors, and the expectations are high. Let’s look at some of the key facts from the survey, which was conducted by Harris Poll in October with more than 6,000 smartphone and tablet owners in five countries – the U.S., UK, France Germany and Australia. Download the full infographic here. Mobile shopping will set new records again this year, and smartphone and tablet shopping will be a dominant factor across web, mobile web and mobile applications this year. Huge increases in the use of smartphones and tablets for holiday shopping this year — up 60% for Millennials and 42% for all age groups surveyed. 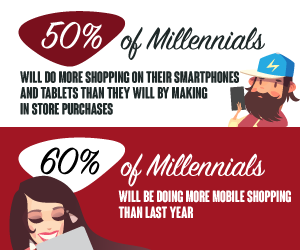 Millennials are shifting into overdrive, as 50% will do more holiday shopping on their mobile devices than in stores (60% in the UK!). 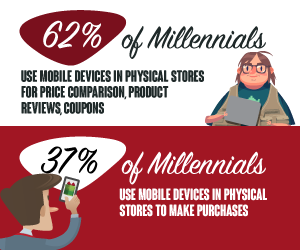 62% of Millennials (and 71% in the U.S.) will use their mobile devices in physical stores to compare prices, read product reviews and download coupons. 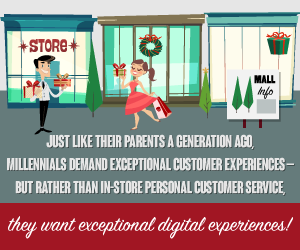 More than 1 in every 4 smartphone/tablet users and nearly 4 of every 10 Millennials will use their devices to make purchases when they are in stores shopping for gifts. 75% of all shoppers and 81% of Millennials – including 87% in Germany – report that if a mobile site or mobile app is buggy, slow or prone to crashes they would abandon it and shop elsewhere. 49% of Millennials and 47% of all shoppers using their smartphones and/or tablets say they would shop elsewhere if a mobile site or app fails to load in 3 seconds or less. 68% of all holiday shoppers using their smartphones and/or tablets say they would try a mobile site or app one more time if it did not work the first time – an immediate loss of 32% of shoppers. 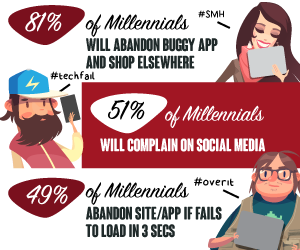 Your apps are your brands – and if they deliver poor experiences the world will hear about it as 51% of Millennials say they are likely to complain on social media about a poor online shopping experience. 54% of Millennials prefer to use company-specific mobile applications rather than company websites when shopping on smartphones and/or tablets. Why? Because 62% of Millennials (71% in the UK) say that mobile applications have better user experience and performance than sites. Millennials show us a clear path – companies will win or fail based on customer experiences they deliver at every digital touchpoint along the shopping journey – web, mobile web and mobile apps – no matter where customers are – at home on their couches, in their offices and even when they are inside stores shopping. 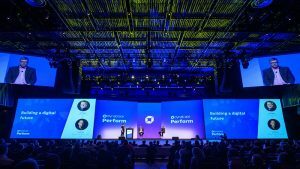 Customers’ behaviors and expectations continue to change and digital transformation should not focus only on getting a 360° view of their customers, it’s all about the delivered user experiences too. You need to deliver at scale, across channels with a special focus on mobile or suffer the consequence. What can retailers do to make sure their customers Come Back In The Future? 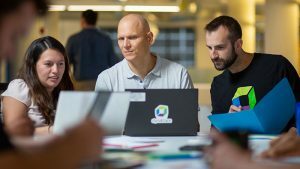 Have a look at this digital performance management (DPM) blog post which explains how proper analytics can – and does – help organizations like yours make sure digital experiences are flawless across channels, all the time. 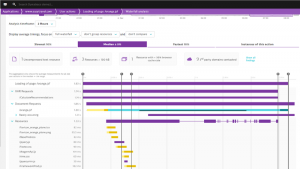 Capturing all user actions and involved technical elements in the experience delivery helps you identify issues and resolve them quickly before they hurt your brand and bottom line.